As we have already presented in several articles, a bio ethanol fireplace is also a great tool for the architects to create the space, and more specifically speaking, to create a unique built-in design. There are several special models among the bio ethanol fireplaces designed to be built in. GlammBOX line by Glamm Fire is an example of such product. 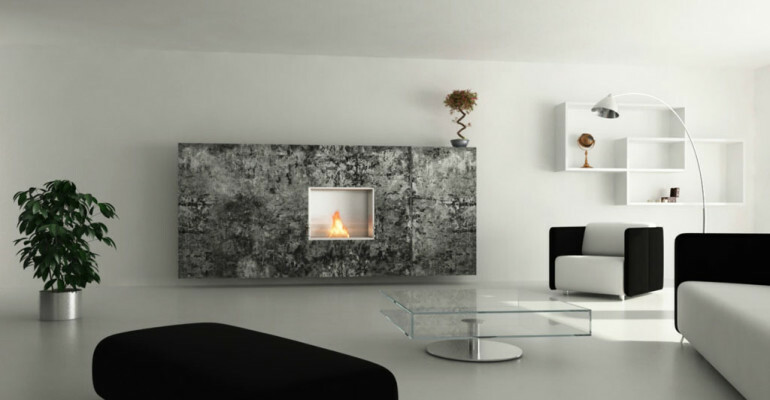 This is a series of rectangular bio ethanol fireplaces of different sizes, whose housing is specially prepared for being incorporated into a wall or furniture arrangement. The designer has a choice of models in lengths ranging from 42 to 215 cm and heights of up to 80 cm open on one side only, or those with a line of fire visible on both sides. Dimension can be selected depending on the location and style of interior design. The housing around the bio ethanol fireplace incorporated into the arrangement can be finished randomly. It all depends on the imagination of the designer.